Golf for H.O.P.E. Tournament to benefit all cancer patients and families. The 2018 tournament will not take place this year. 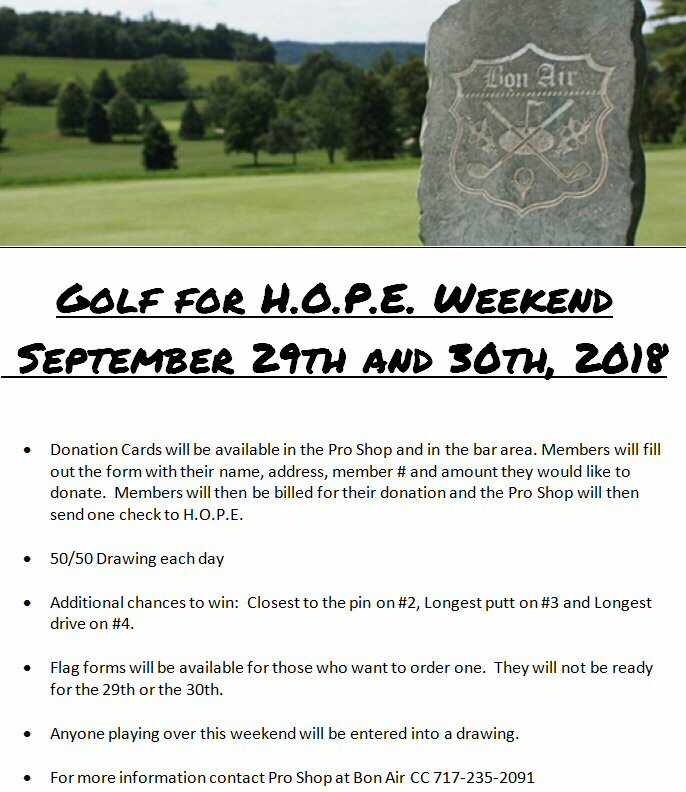 But, instead this year there is going to be a Weekend of Golf for H.O.P.E.